Wallaroo horses had a great show at SIEC,Wallaroo Oaks Cartier has been renamed,Laurel Glen Brandy man.He stepped out in a tough 5yr old class with his new owner Nelson Smyth to take an equal first with the very few other double clears in the class over a Leopaldo designed track.He is a very exciting horse.Wallaroo Cornetta started in the rising stars jumping a clear round on day she has really stepped up well rider James Mooney was thrilled. She went straight onto the 6 yr old class,jumped clear but had 1/4 time.It was over 35 degrees,she did brilliantly. Wallaroo Carnival did a super job with Coco Dulhunty palcing 3rd in the final of the young rider championship with a very fast double clear.Congratulations to Madelin Sinderbury on her win with the amazing Fernhill Zizan. Locally the NCEC had a small xmas competition ,Harriet took Wallaroo Carina for her first dresage outing,she was a star placing second with over 67%.Harriet came back to Australia for a few months and produced Carina beautifully.Sadly Harriet has returned to London,we will miss her incredible talent for producing the studs young horses from foals to confident performance horses. Wallaby Hill ran their amazing CCI event and Dunrostan with Katrina Silk placed second in their class behind Olympian Chris Burton!This combination have had incredible success all season huge congratulations. We are thrilled announce the arrival of a superb coloured colt by Copabella Visage out of Fancy Nancy.Big mover tall and strong. We had a great show at the Canberra Cup thanking the ACTSJC for running the 3 day show. Wallaroo equestrian sponsored a class won by Katlyn Staples. Wallaroo Carina stepped out for her first outing at the Canberra cup having had 6 weeks training with Harriet who has been back in Australia for a couple of months. She started in ring two jumping clears over the three days, we were thrilled by her sensible attitude ,she is a sensational youngster. The filly is being offered for sale ,sadly for us Harriet returns to the UK in December. Eventing news from around the country of our clients horse has been super,Dunrostan stepping up to prenovice with ease, placing in his last three events. Wallaroo Masterpiece now Sleepy Jackson and Wallaroo Argyle now called Archie have been going brilliantly for their owners in SA and Vic. Wallaroo Oaks Cartier has found a new rider in Nelson Smyth and saw his first show at Mossvale. He will be doing a short Victorian run to consolidate exposure to the ring. He is looking sensational. Show case of showjumping. This was a stunning event ,congratulations to the organisers.The Oaks YH classes were full of really super horses,exciting times ahead. Wallaroo Carnival came 2nd in his 7/8 year old class.The live stream meant we could keep upto date with all the action too. The newest stud arrival is our stunning Cassiago filly foal out of Wallaroo Poppy ( Vivant/TB) she is tall, beautiful and bold. Congratulations to Katrina Silk and Dunrostan for their second placing ,it was a lovely opportunity to catch up with this pair.Wallaroo equestrian was busy helping with promoting the event through local media,WIN tv covered the event and did a superb wrap up story.We also saw some superb riding from our students and friends, congratulations to the 3* winner Andrew Cooper. Congratulations to Coco Dulhunty and Wallaroo Carnival for her second placing in the YR final championship,a double clear behind a brilliantly fast winning round from Madeline Sinderbury and Fernhill Zinzan. Wallaroo Cornetta also had a good show placing in her classes the smaller ring over the weekend.Congratulations to local rider, Emily Longhurst and her super win of the senior state title on the Blackall park bred mare Rhapsody in Blue. Summer has bought a few changes.We are very sad to farewell our gorgeous stud helper Elsa, who completed her intro horse management during her time with us and also began a very good season driving with her super young standard bred.Elsa will be based in the Sydney region in the new year.We welcomed super Alex from NZ for few months, an absolutely delightful young woman who has cared for Cartier and the mares superbly.She is thrilled to be able to put her favourite Cartier into work before returning home to return to uni. He got the all clear early Dec. .Poppy is PTIF to Cassiago, Nancy inseminated with Visage,we haven't had any success with frozen this year.Mopsey produced a superb Cornet Pilatus colt ,he is big strong and sensible,and has a canter that promises a huge future ahead. Its been a really good year for all our clients and students congratulations to you all. Its also thrilling to hear back from those who have bought our horses .The Wallaroo flag is flying high with top competition results from Carnival, Dunrostan, Happy Hour ,Sleepy Jackson, Vittorio, Cornetta,and Freewheeler.Just as exciting is to the see the sires that we have chosen for our foundation breeding stock continue at top level competiton.CP Qualified winning the 4* at Adelaide, and the ever amazing Vivant continued to place in Europe this year. Cassiago is looking super at WC level finding the 1.60 level effortless with an incredible run of wins at WC this year. Carpino z has also stepped up to this level very comfortably with a win earlier this year. We are still looking for a YH rider capable of producing our young stock, stable rider Harriet having moved to London to study at LSE . 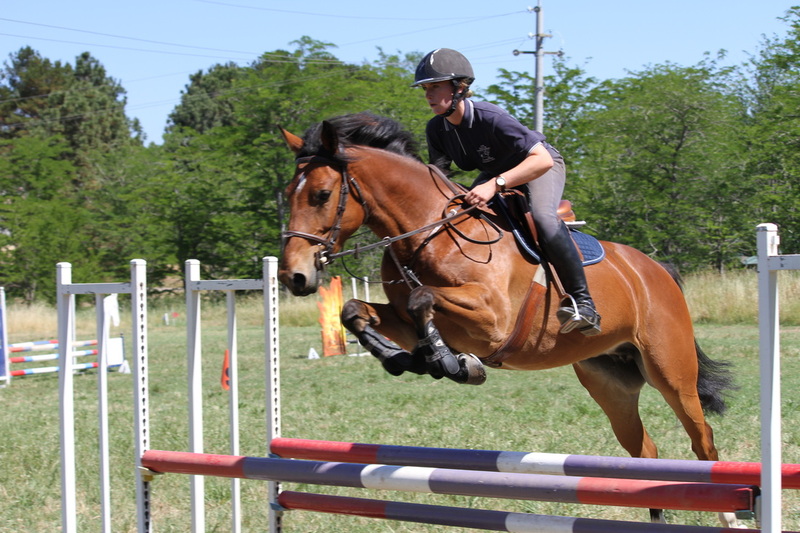 The winter season has been busy coaching students and starting youngsters under saddle.The competition season has started in earnest and Wallaroo horses and students have been competing with great success. Congratulations to Tori, Hannah and Loren for your selections for the National PC champs and being selected for the NSW interschools national teams. Special congratulations to local rider and Kaloona stud manager Ellie Miller for her selection for the PC eventing team but also her recent blitz winning streak in the NSW Amateur SJ league. Wallaroo equestrian is looking for an exceptional young horse competition rider to introduce the babies to competition and campaign our going youngsters. The Sydney show jumping club two day championship saw Wallaroo Carnival continue on his winning run with Coco Dulhunty, winning the 6yearold class and placing in the 1.20.Congratulations. The legendary George Morris has been in NSW this past week both at MT White and Diamond B farm for the coaches clinic .Harriet attended the Mount White clinic watching some super combinations, Fiona went to the two day coaches clinic.It was an amazing opportunity to once again listen and watch a true master of the horse and see a training system with the welfare of the horse its top consideration. What an inspiration this horseman is. Thank you Vicki Roycroft for facilitating this and Helen Chugg for hosting the coaches clinic. Wallaroo Carnival by Copabella Visage and his young rider Coco Dulhunty were amazing winning the Snowy mountains NSW Country Young riders at the championship at Jindabyne in early January. It was a thrilling event to watch a fast double clear ,a super result for their first step up at this level, both looking very confident and comfy. Congratulations to coach James Mooney for producing this young combination. We also happened to sponsor the class,it was a great way to start the year. Wallaroo Cover girl, the most exquisite filly foal has been sold to eventer Cally Hannah,the filly remaining here until weaning. Wallaroo Quite a Diamond left for her new home in Glenorie and will be started by Chris Chadwick. 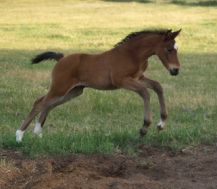 Wallaroo Agatha produced a beautiful filly by Now on top for new owner Felicity Wischer in Victoria. Wallaroo Masterpiece renamed Sleepy Jackson going double clear at Lakes and craters in his first prelim with Megan Jones in the saddle,owner Jo is thrilled with this Connemare /TB /Croftlea Artisan youngster. We have lightly started the rising 3 year olds Wallaroo Oaks Cartier and Wallaroo Connie, both are super easy youngsters. The rising 4 year olds Wallaroo Amelia and Wallaroo Jeune are working well under saddle both on the flat and over small fences. Footage of them is on their pages. Congratulations to Dave Cameron for his WC win at the Summer show jumping classic run brilliantly by the ESP team. Wallaroo equestrian was proud to support this event, Harriet posting daily reports and results of the days competition. Harriet also rode Wallaroo Vittorio who started in his first futurity and was unlucky with a green rail and a couple of time. Being first out to ride the pair looked super. Vivant progeny were well represented at the meet especially in the Oaks young horse day. Foaling time, Nov 8th Caracas Colt out of Vivant/Tb mare. Oct 23 2014 a stunning elegant bay filly by Cocaine Ego Z ( Cracky z /Alme) from Convivial (Vivant/Contenda). For Sale: We have are offering young stock, broodmares and competition horses for sale. Click Here to find out more information . 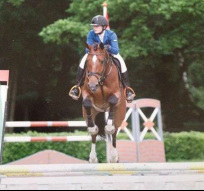 Harriet jumping a super youngster in Holland May 2014, she is working at Willem Greves' stable. Pictured, Wallaroo Carnival sold as a rising four year old to the lovely young rider, Coco Dulhunty. He is now placing in ,D grade championships(Dubbo2014) and 1.20 heights (SSJC) as a 5 year old. Wallaroo fancy Nancy turning heads as she starts in the sport after foaling. Sleepy Jackson and Megan Jones and 2014 Lakes and Craters event. Congratulations to Karen Yanik the winner of our sponsored class at the Canberra Autumn horse trials. Dunrostan and stable rider Harriet came 3rd in the same class. Allengreen Showcase ridden by local Vet Bec Walshe came second,he had all his early jump training done by Harriet, she was thrilled to see him going so well. ﻿Canberra ODE, we are sponsoring a class and Harriet will ride Dunrostan and Freewheeler. 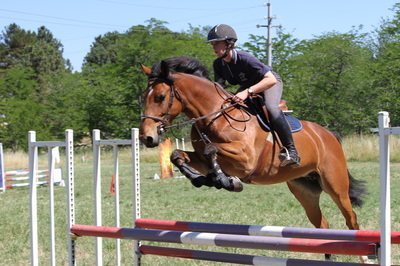 Yves Houtackers clinic at Yandoo,Harriet will ride Wallaroo Vittorio. Hall PC gymkhana, Fiona will help the club. Yass show Wallaroo Vittorio and BP Matilda will jump. Goulbourn show, Berrima horse trials and Hall PC show will see ours and student horses compete. Done and dusted, Cooma show where the super pony Homeport Jennifer was amazing in the height classes and Wallaroo Vittorio jumped well in then 1.25 sadly having a rail after pulling a shoe. Canberra royal was a great show with huge jumping numbers, BP Matilda stepping up to compete in part 3, a few green rails over the Leeson courses over the four days of jumping.